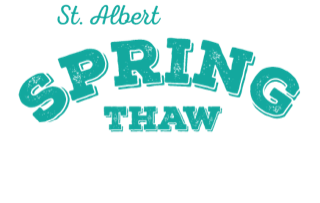 The St. Albert Spring Thaw is a new family-oriented running event that utilizes the Red Willow Trail network in St. Albert for a fun 5K and 10K race. The Start and Finish will be at St. Albert Place, where there is ample parking and indoor washroom facilities. All finishers will receive a great Finisher's Mug as soon as they cross the finish line that they can fill with hot chocolate, whipped cream, sprinkles and marshmallows at our decadent Hot Chocolate Bar. Don't worry, coffee will also be available. Post-race snacks also include fruit and water and aid stations will be set up on course. 5K Team Challenge @ 9:30 A.M.